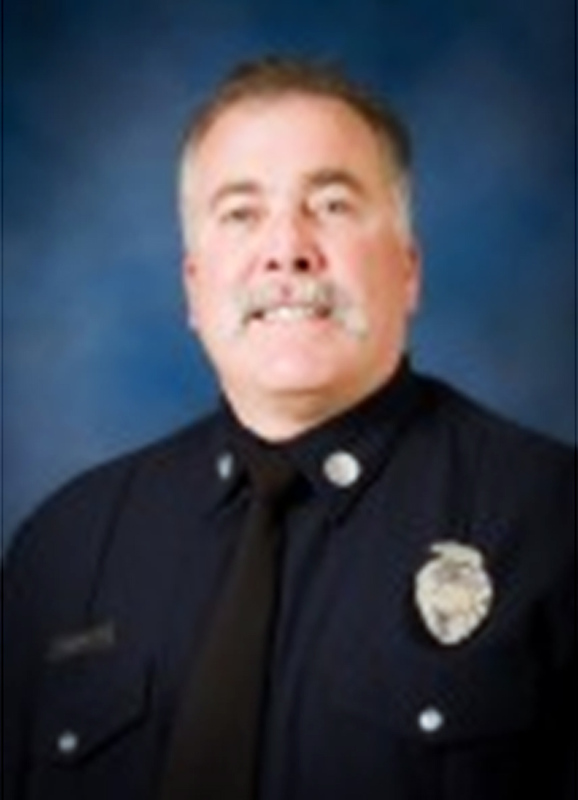 [LACo FD] – A funeral service for Los Angeles County Fire Captain David Bailey will be held on Wednesday, April 11, at 11 a.m., at Grace Baptist Church, located at 22833 Copper Hill Drive in the City of Santa Clarita. Interment will immediately follow at Eternal Valley Memorial Park & Mortuary, located at 23287 Sierra Highway in Newhall. Bailey, 50, died unexpectedly on April 3, suffering a cardiac arrest while engaged in physical fitness activities at Los Angeles County Fire Department Camp 14 in Santa Clarita. Bailey joined the Los Angeles County Fire Department on September 2, 1994. His first firefighting assignment was at Fire Station 94 in the City of Lakewood. During his 18-year career with the Department, Bailey worked at fire stations in eight communities across the County. He also spent two years as a member of Hazardous Material Task Force 76 in the City of Valencia. In April 2002, Bailey was promoted to the rank of Fire Fighter Specialist, and was assigned to the engine company at Fire Station 131 in the City of Palmdale. He was later assigned to Urban Search and Rescue Task Force 130, Camp 16, Engine 76, and the Homeland Security Section. Bailey was promoted to the rank of Fire Captain in April 2009. His enthusiasm for his work, as well as his attention to detail, was well-known among those he worked with. Bailey availed himself of the Department’s many opportunities to develop skills in specialized operations. He developed a wealth of technical rescue expertise in Swift Water Rescue, Hazardous Materials, and Urban Search and Rescue (USAR). He was always proud to share his knowledge with Fire Academy recruits and as a Fire Crew Supervisor at the Department’s fire camps. His career highlights include the 2005 deployment to Hurricane Katrina in Louisiana and the 2011 Earthquake/Tsunami disaster in Japan as the Red Team Hazmat Manager of California Task Force 2 (CA-TF2), the Department’s elite USAR team. Bailey was actively involved in the USAR and Hazmat communities. This sudden and tragic loss of a valued and respected member of the Department has triggered an outpouring of support from the fire agency community, as well as the public. After Bailey’s untimely passing was announced on the Department’s Facebook and Twitter sites, condolences immediately began popping up from members of the online community. “Our sincere condolences to the family of Captain David Bailey and the Los Angeles County Fire Department,” wrote the Monterey County Fire Training Officers Association. “Rest easy, brother. Prayers to the Bailey family and to LACoFD,” posted one resident. “Thank you for your service. Rest in peace, sir,” wrote another. Bailey is survived by his wife, Lisa Bailey, mother Marjorie Bailey, sister Mary Jane Bonilla, mother and father-in-law Charlotte and Henry Villa, brothers-in-law Richard Bonilla and Joey Villa. He was a resident of Acton. For more information, please contact Public Information Officer Captain Mark Savage at (323)-881-2413. Route 66 Classic Grill will host a fundraiser for the family of Captain Bailey from 5 to 9 p.m. Tuesday, April 17. Fifteen percent of the night’s sales will be given to the family. Route 66 is located at 18730 Soledad Canyon Road in Canyon Country.